Leon Fichman, born in 1921 in Los Angeles, CA, has had a full life with a variety of experiences. Leon and his siblings were all child actors, helping to support the family during the Great Depression. When he was nine, Leon had a role as an extra in three short films that starred the Babe: “The Orphanage”, “Teaching Kids to Pitch” and “Slide, Babe, Slide”. Fichman played college football at Alabama under the leadership of Bear Bryant. 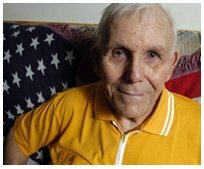 After graduating college, Leon was drafted by the Army and fought in one of the biggest and bloodiest battles of WWII – The Battle of the Bulge. When he returned back to the U.S., Leon was drafted by the Detroit Lions, where he played for a full season in 1946 and one game in 1947, before permanently injuring his knee and being unable to continue playing in the NFL. After that, Leon moved on to teaching, which he did for 53 years. Leon was also an integral part in starting the Cystic Fibrosis Foundation, in part because his daughter suffered from the disease. The Cystic Fibrosis Foundation has funded research that can be attributed to extending the lives of children with the disease from five years at the Foundation’s initiation to 38 years today. Leon now volunteers for a senior-assistance group, “RSVP”, and enjoys tutoring math to children. Leon gives a summary of each of the three films he did with the Babe. Leon discusses a little bit of the background and purpose of the short films that he played in with the Babe. Leon recalls one of his memories with the Babe.